Bees are the archetypal busy animal, and when I visited them today I got the impression they were not waiting for spring but gearing up to meet it head on. It was an overcast and blustery morning and I luckily completed my visit to the orchard just before gale-force horizontal rain blew in. All three hive entrances had a few bees coming and going. I kept my distance as the wind was buffeting the bees into swirling flight paths all round the front of the hives. I hope not too many workers got caught out in the subsequent downpour. 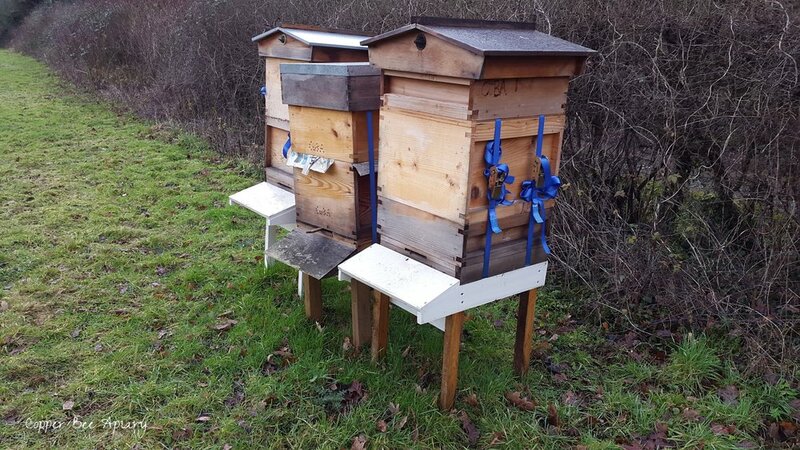 In the cold weather, they are unlikely to fly far from the hive so hopefully they did make it back in time. From these images, it seems that all three colonies are clustered on the same areas of comb where they were last time, but that Queen Mab's colony are now active in the newly added super as well. 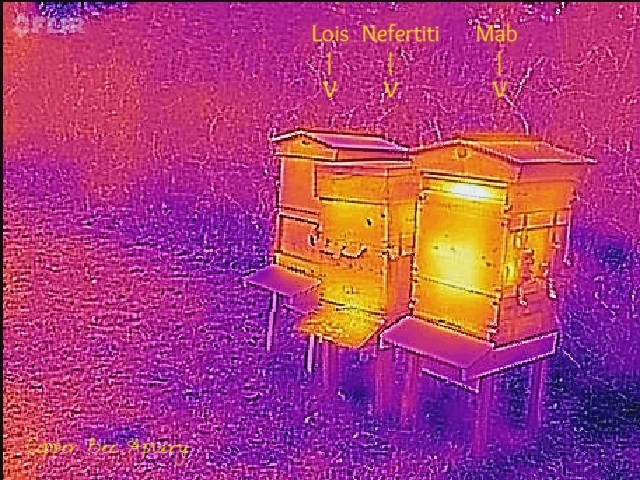 Queen Lois's hive looks cooler than the others but the camera shows a warm cluster towards the rear left of the upper brood box, so they are there, scheming their schemes for spring.